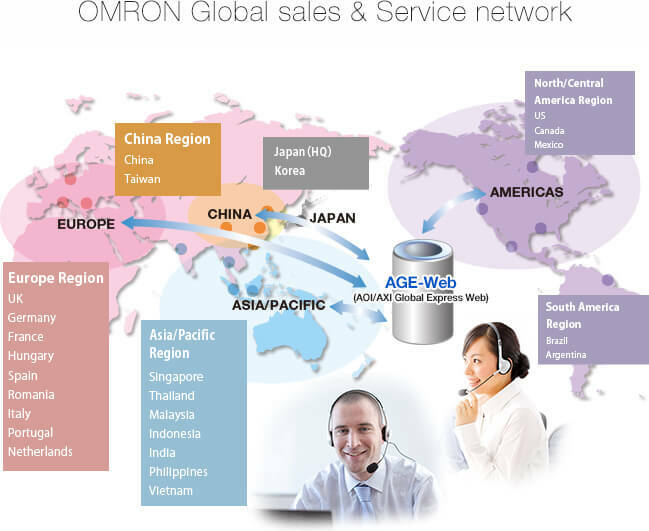 Omron's unique global support system to enable the uniform management of information of customers around the world. Omron has established information sharing and managing systems that can provide anyone with the same services anywhere in the world by AGE-Web (AOI/AXI Global Express Web). OMRON Group engineers provide direct support via its extensive network spanningmore than 30 countries.